Fixed issue on save tooltip when disabled Virual Editor in settings page. Fixed custome style not applied in v1.1.44. Added support of auto convert video url (such as YouTube video link) to embed video for tooltip content. Added support of customize max tooltip width for specified field. Added support of paste color directly into Color field in Tooltip Style Generator. Tweak to avoid showing all tooltip options by default when the user enables "Display the tooltips or tooltip hint by default". Fixed compatible issue between CKEditor WYSIWYG for Gravity Forms and Magic Tooltips for Gravity Forms. Added suppport of Font Awesome 5. Passed PHP 7.2 Compatibility test with PHP Compatibility Checker. Fixed issue on resize the tooltip content editor. Fixed issue on display empty lightbox when click on tooltip content without any image. Fixed issue on showing tooltips only when mouse hover on question mark icon for radio or checkbox options. Fixed issue on showing tooltips on field label when the option When a form field is currently targeted by the keyboard, or activated by the mouse is enabled. Fixed issue on showing tooltip content with just image and without text. Fixed issue on both showing tooltip for field label when WCAG 2.0 form fields for Gravity Forms plugin installed. Fixed issue on both showing tooltip and select option when user clicks an option of radio or checkbox group. Fixed issue of loading Visual Editor in Tooltips tab of Gravity Forms' field editor. Fixed issue of the Reset Settings&Tooltip Style Generator Configuration button in settings page. Fixed issue on showing tooltips if css style options is empty. Fixed issue on showing tooltips on input element of radio or checkbox group. Fixed issue on showing tooltips when form is loaded by Popup Maker. Fixed issue on showing tooltips of the List field. Fixed issue of potential script error. Added support for showing help icon after inputs of the List field. Fixed issue on focus text input when enable Modal mode and show tooltips after input or textarea together. Added support for init jQuery Accordion(jQuery UI) with all collapsed by adding extra class "mm-accordion-all-collapsed". Added support for the List field. Fixed issue on save license key if mbstring extension is not enabled in PHP. Fixed issue on showing Notice for Undefined index: add_icon_fontawsome. Addes support for display tooltips when user click radio or checkbox options. 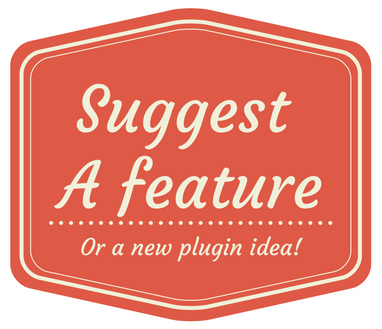 Fixed issue of potential script conflict with other plugins or themems. Fixed issue on display tooltips when hover on input or select of Time Field. Added support of showing field label as title in tooltips. Fixed issue on display tooltips for Time Field. Added support of custom fields created by 3rd-party plugin such as AffiliateWP - Affiliate Forms For Gravity Forms. Fixed issue on display tooltip when mouse hover on radio or checkbox options text. Fixed issue on display form when <tip> is added to form field description. Added support of open tooltip links in new tab (window) by default. Fixed issue on display help icon when tooltip content does not contain any text (such as image). Added support to display jQuery Accordion in tooltip content (both tooltip mode and modal mode). Just add class mm-accordion to the accordion container DIV. Fixed issue on display tooltips on radio or checkbox options when the html content do not contain any text (such as image). Fixed issue on conflict with the Financed theme. Fixed issue on showing form when there is a price options field in the form. Removed console debug log code. Added support of completely disable Magic Tooltips on mobile devices. Fixed "Double Tap" issue on price checkbox or radio buttons. Fixed issue on saving license key in PHP 5.4. Fixed issue on displaying tooltips in Internet Explorer. Added support to show debug information when connection from website to license server cannot be established. Added support of show tooltips after input or textarea. Added support of show help icon after input or textarea. Change script name to avoid conflict with other plugins. Added support of hide help icon for Button Tooltip. Fixed issue on display tooltips in some case. Added support of specify named styles for each field. Fixed issue on showing <tip> on modal mode. Added support of compatible with LayerSlider WP plugin. Added support of compatible with Popup Maker plugin. Fixed issue on displaying custom help icon picker. Fixed issue on displaying tooltips by default on multi-page forms. Automatically show help icon to the left of title if tooltip position is set to left in Tooltip Style Generator. Automatically hide tooltips displayed by default when mouse hover in and out the tooltip content. Enable configure of display tooltips by default in field settings page. Fixed issue on showing tooltips for Gravity Forms loaded via AJAX. Fixed Undefined index: enable_lightbox issue. Fixed compatible issue with Divi Theme. Fixed compatible issue with old version of Gravity Forms after added custom icon support. Fixed issue on displaying modal for radio or checkbox group options. Disabled modal mode on radio or checkbox group options. Added support for show tooltips in description with <tip> tag. Changed Gravity Forms field settings tab name to Tooltips. Moved Tooltip Content to the first place in Tooltips tab. Moved Custom Help Icon to the second place in Tooltips tab. Supported add columns into tooltip content with Advanced WP Columns plugin on Gravity Forms No-Conflict Mode. Supported insert icons into tooltip content with Better Font Awesome plugin on Gravity Forms No-Conflict Mode. Changed description text for configure custom help icons list. Added support for displaying hover pointer icon for modal mode. Added support for displaying tooltip hint for modal mode. Added support for displaying tooltip hint for lightbox mode. Added support for select custom help icon. Added support for configure custom help icons list. Fixed issue on fatal error issue after update v1.0.68. Fixed issue on submit button tooltip. Added support for Gravity Forms No-Conflict Mode. Moved field settings to Magic Tooltips tab. Added support for show modal with learn more. Added support to show tooltips for Form Button (Submit Button). Fixed issue on display tooltips on iOS Safari when Purify content blocker enabled. Added support to close image lightbox when clicks outside image. Added support to show image lightbox when user clicks tooltip icon. Added support to show lightbox when user clicks image in tooltip. Fixed style conflict issue with Gravity Forms Styles Pro plugin. Fixed Visual Editor content issue when batch edit multiple fields and save form. Added support of radio and checkbox group field that mapped to custom taxonomy via Gravity Forms + Custom Post Types plugins. Fixed js error issue when Visual Editor is disabled. Fixed tooltip display issue on price options. Fixed tooltip display issue on radio and checkbox group. Fixed placeholder display issue on complex form field such as address field when No-Label mode is enabled. Added support for show help icon after inputs and textareas when No-Label mode is enabled. Fixed Warning message in settings page if WordPress Debug mode enabled. Fixed tooltip display issue on Ajax Uploads field (Ajax Upload for Gravity Forms). Fixed tooltip display issue caused by v1.0.48 fix. Fixed tooltip display issue caused by v1.0.47 fix. Fixed issue on supports tooltip functionality for radio button and checkbox answer choices. Added support for load content of tooltip editor as alternative when user enabled Description as Tooltip option. Fixed issue on display form when using complex HTML in description and enabled show description content as tooltip. Added support for combine settings for "Show tooltips only when mouse hovers on help icon." and "Show tooltip on option label when only one option in checkbox group". Allow user specify empty line to hide title label tooltip for checkbox and radio group field. Added new option in settings page to allow show tooltips only when mouse hovers on help icon and not show tooltips when hovers on field label (title). Added new settings in GravityForms' field settings panel. (1. Show required as * after placeholder text. 2. Show tooltip on option label when only one option in checkbox group.). Fixed issue on showing tooltips settings in GravityForms' field settings panel when user disable Visual Editor in his Profile page. Added support for allow user specify the tooltip position in HTML field (use class "mm-tooltip-label" to mark tooltip position , for example: <span class="mm-tooltip-label">Show tooltip here</span>). Added new No-Label settings that allow user choose if placeholder should be shown as placeholder. Added partial No-Label mode support by adding enable No-Label mode checkbox in Gravity Forms field settings panel. Added support for No-Label form. Fixed max-width settings issue when only number entered and no unit (px or em) is entered. (User need to save Tooltip Style Generator again). Fixed text color (font color) settings issue for change text color for HTML tooltip content. (User need to save Tooltip Style Generator again). Fixed question mark shows on Section field even when no tooltip content for it. Added tooltips functionality to Section Break. Added input field to edit max width of tooltips in Tooltip Style Generator. Added input field to edit z-index of tooltips in Tooltip Style Generator. Added tooltips functionality to HTML Block. Added tooltips functionality to radio button answer choices. (User can add tooltip content for answer choices divided with <hr>). Fixed unexpected Notice issue on settings page when WP_DEBUG is set to true. Added a button to settings page to allow user reset plugin settings and tooltip style generator configuration back to default. Fixed issue on displaying magic tooltips on all sub sites under WordPress Multisite mode (v2). CSS Style Generator now supports responsive. Fixed issue on displaying magic tooltips on all sub sites under WordPress Multisite mode. Fixed conflict of plugin update checker with other magic plugins (v4). Added new setting for disable WP Editor and use textarea instead for tooltip content editor. Changed icon to SVG format. Fixed issue on displaying tooltips in multiple-page forms. 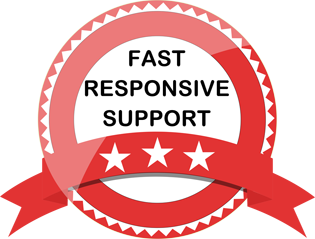 Fixed issue on Network Activation of WordPress Multisite. Removed margin and padding for <P> html tag in magic tooltips. Replaced textarea with WP Editor for tooltip content editor, that makes generating of HTML content with ease. Now supports embed Youtube Video with standard Youtube Embed code. Fixed the issue that when using the tab instead of mouse to move from one field to another, the previous tooltip remains. Enabled developer license key holders to add a license key to multiple sites on a network simultaneously.